Either Valencia or Atlético Madrid are model teams in all levels. 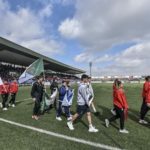 Their participation in La Liga and other European competitions places them at a very high level not only in the high performance, but also in youth football. Valencians were finalists in E Class in the MIC last year, when they lost the final against RCD Espanyol. Atlético did something similar, but in 2015, playing the final against Málaga at the highest category of the tournament, Class A. Both clubs demonstrated why they assist year after year at the MIC. Remember, MIC puts together the best football academies of the world to let teams like yours make the dream of playing against the best come true. ¿Do you know who are going to be with us? Inter Milan, Manchester United, Manchester City, Real Madrid, FC Barcelona, FC Bayern München… and now Valencia CF and Atlético Madrid! ¿What do you thing about the idea of being able to play with your guys against the best football academies of the world? 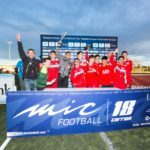 January becomes a key month to close the registrations for the MIC. The massive attendance of teams has overpassed all records and many teams are already confirmed. Be ready, you will know all who are travelling to la Costa Brava during Easter 2017 very soon! Click here to write your own history at the tournament!